At last you have that long awaited job interview therefore you need to be well prepared for it as this is in your hands. You research the company, get yourself a smart outfit but, it does not end there as you need to present yourself through your body language. Expressing your enthusiasm, verbally and through your body language, can be difficult when you are nervous. 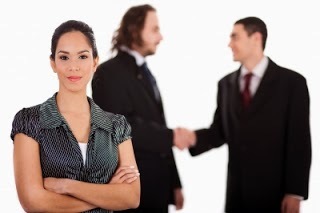 In reception, be prepared to stand straight and shake hands – avoid adjusting your clothing as you stand. Your handshake should be firm, not too firm, and short while you make and keep eye contact. In the interview room, you need to make sure you are sitting upright and not laid back or swiveling in your chair. Some of the dead giveaways of bad body language are – drumming your fingers on the desk, constantly moving your legs whether crossing, uncrossing or shaking them and scratching your head. The employer will not be looking at these as nervousness but an inability to stay focused, impatient or not confident, to name but a few traits. Employers look keenly at your body language and can interpret that you are not completely honest if you rub your nose. You can appear unfriendly or unapproachable if you fold your arms. You should sit upright and lean slightly forward as this shows you are interested and engaged in the interview. You may nod or smile as these are positive signs of your enthusiasm and interested in whatever is being said. You may have more than one person interviewing you at once but one of them is more vocal then make sure you include the silent one with your gaze when talking and return your attention to the one who has asked the question. At the end of the interview, stand and smile to shake hands as this increases your alertness and maintains your engagement in the conversation. Say a pleasant ‘Goodbye’ along with handshake which is as confident as the earlier one. Keep that confident posture as you walk through and out of the office. Go to a coffee shop and relax. See the courses provided by Souters’ Training to endorse your skills and help you gain that knowledge and confidence needed to prepare you for a job interview.